Hiking through the hills and mountains surrounding Santa Fe during the spring is a thing of beauty. The Santa Fe area is world-renowned for its pristine air quality, brilliant blue skies, and a phenomenal opportunity for outdoor adventure. 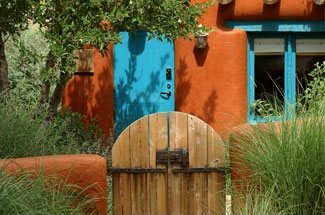 Plan a spring getaway to Santa Fe, and you’ll be nestled amongst the southernmost Rocky Mountains, surrounded by 12,000-foot mountain vistas. Tucked into the Rio Grande Valley, Santa Fe is surrounded by over 1.5 million acres of juniper, aspen, and Pinon begging to be explored. If you’re an outdoor enthusiast, then book your stay at our Santa Fe Bed and Breakfast Inn today, and start exploring the wonderful hiking trails found here. 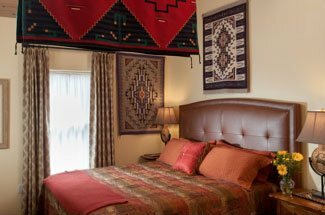 Our luxury bed and breakfast is conveniently located in the heart of historic Santa Fe, where you’ll have over 30 miles of scenic hiking trails at your disposal, such as the La Tierra Trail network, the La Piedra Trail, or the popular Dale Ball Trail system, which is a 22 mile network of multi-use trails in the foothills of the Sangre de Cristo Mountains. Another wonderful place to visit for some great hiking in the Santa Fe area is the Randall Davey Audubon Center, where you’ll find 135 acres of striking landscapes and wildlife bordering the National Forest and Santa Fe River Watershed. Over 190 species of birds can be found in this sanctuary, making it a wonderful place for birdwatching. For the true hiking enthusiast, there are a number of wonderful and more challenging hikes just outside of Santa Fe. The Petroglyph National Monument offers several hiking trails, including those that navigate around the regional volcanoes, and trails into Rinaconda Canyon, Boca Negra Canyon, and the Piedras Marcadas Canyon. If you want to experience some of the legendary history of Santa Fe while getting in a hike, then head out to the village of Abiquiú and Ghost Ranch along US 84. Ghost Ranch is where Georgie O’Keeffe used to stay, and it offers great hiking trails open to the public. Other popular hiking destinations for visitors to Santa Fe include Kasha-Katuwe Tent Rocks National Monument, and the beautiful canyons and mesas of Bandelier National Monument. No matter where you choose to spend your time hiking through the hills surrounding Santa Fe, we know you’ll leave here rejuvenated and full of appreciation for these beautiful lands. We look forward to your stay with us at our luxury Bed and Breakfast Inn.